The first comprehensive publication on the town that grew at Sutter’s Mill, where gold was discovered -- sparking the California Gold Rush of 1849. 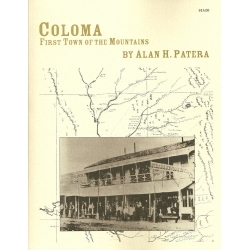 Coloma was quite a town in the 1850s, the county seat and mercantile center for thousands of miners, a representative of civilization in the heady days of the Gold Rush. 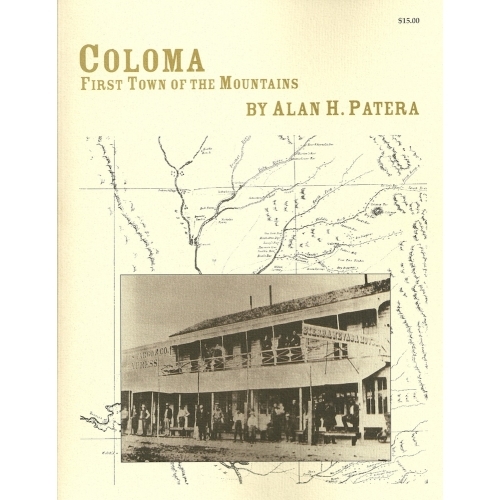 Time has not been kind to Coloma, but enough remnants of the old days remains (including some original buildings) to make this fascinating history come alive. 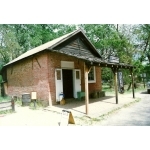 The town and mill site are part of Gold Discovery State Park, which maintains a fine museum on the grounds. Of special interest is a tour of Main Street, relying on the 1857 Au map and newspaper accounts of the 1850s. Many of the town’s original buildings are pictured in early prints, including the M.E. church and the Odd Fellows Hall, which still stand today. Paperback, 93 pages, 8.5 by 11 inches. This book contains numerous photographs, both 19th century ones and others taken recently. People and places are indexed. 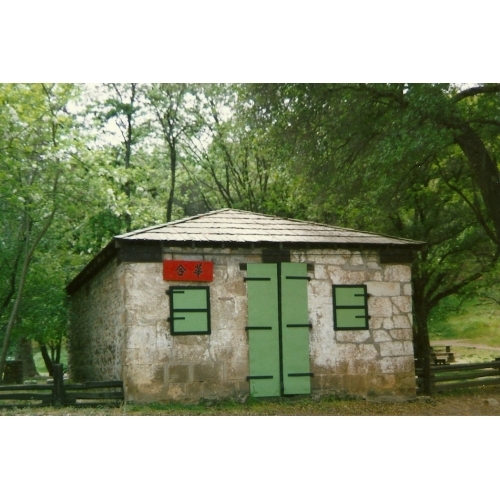 The Beckeart store at the bridge crossing into Coloma. 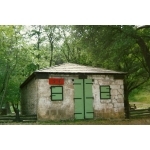 Its early use was as a gun shop, and it maintains the tradition today. 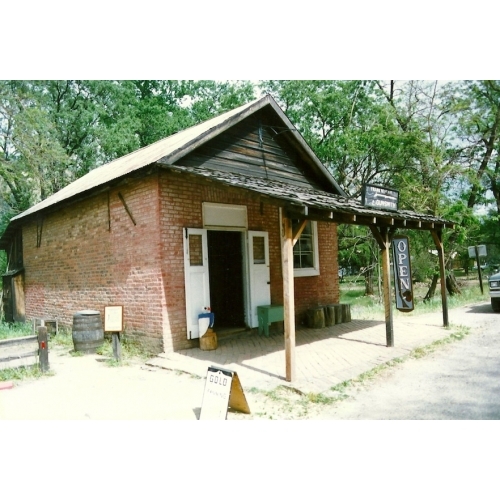 By 1860 Coloma had a strong Chinese presence and several substantial store buildings were Chinese stores, such as this one. 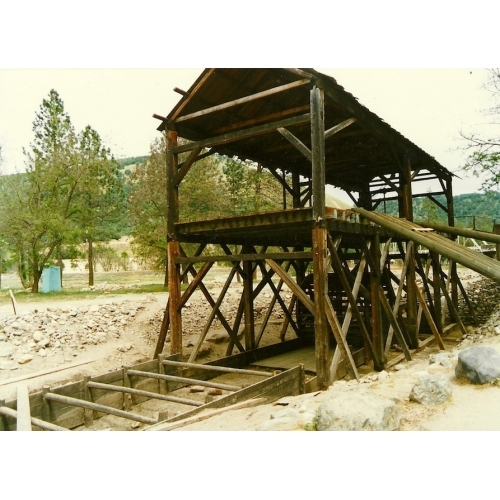 It's not quite in its original location, but tis reconstruction of Sutter's sawmill gives the visitor an impression of how the Gold Rush began.